The decision was reached in a closed-door session. The vote was 4-1, with Supervisor Kristin Gaspar opposing. 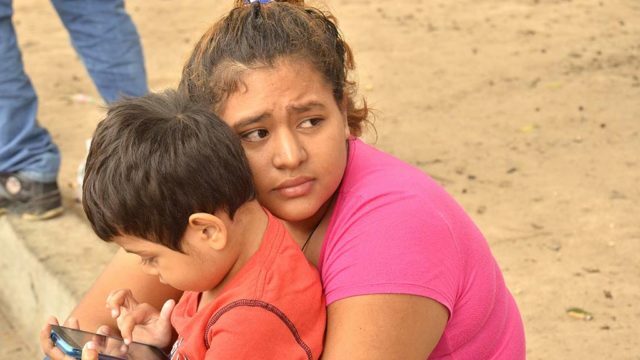 A Department of Homeland Security representative did not immediately reply to a request for comment on the board’s decision, which comes after a recent vote to open a shelter to temporarily house migrants going through the asylum process. Jacob said the lawsuit is an effort to hold the federal government accountable for failing to “consider the impact of its own actions on public health and safety,” which has included separating migrant children from their parents. Since November, Immigration and Customs Enforcement officers have been dropping mothers and children at bus stations and other public locations with GPS monitors but no food or travel arrangements. San Diego nonprofits organized as the Rapid Response Network have stepped in to temporarily house thousands of migrants and reunite them with family.